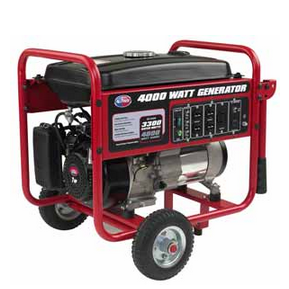 This All Power America APG4000 gas powered generator is portable offers low noise and a 4 cycle 208cc 8hp motor. It is perfect for camping and in home during a power outage or to generate extra power in a mobile home or during tailgating. This products costs about $440 on Amazon. It includes a wheel kit and has a recoil start. It comes with a one year warranty. The 72dB sound rating means this is acceptable to use on campsites and while RVing for the comforts of home while you are away. It is also a handy unit for backing up the basics at home, if the power goes out if there is extreme weather. The main feature is ability to run for 8 hours at half load. It comes with a fuel capacity of four gallons of gas with a fuel guage. 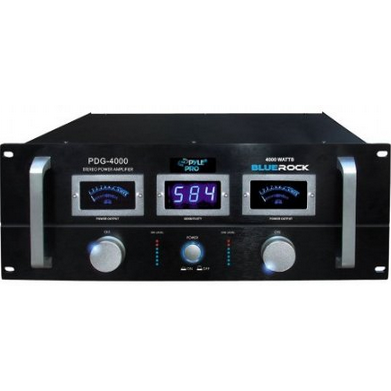 It has the ability to run 4,000 watts maximum and 3,300 watts continuous power output. It has two AC duplex 120 volt outlets, one twist lock outlet, and one 12V DC output for convenient use. The engine has automatic low oil shut down. This helps prevent damage to the engine if lubricants get a little low. Other features include the low noise level of 72db partly due to the spacial muffler. An additional feature is the fold down handle that makes it easy to store and the pneumatic no-flat tires to easily transport the 173 pound machine. This product is recommended for its It is able to be used in multiple areas and easy to maneuver. It has an air cooled engine and comes with a twist lock outlet as well.